Setting up my Cost Matrix and renaming my Rate Cards. The 'heart and soul' of Streamtime Classic, it's important to get your Rate Card right. In Streamtime, the Rate Card lives inside an area we call the Cost Matrix. We have a easy to watch video here that explains how this all works. The Cost Matrix is the most important part of Streamtime. It shows a list of all products and services your company does. All these products are organised in Categories and Descriptions. Every item in a quote, order or invoice, and every task on a job, is based on one of these items as is all of Streamtime's reporting. 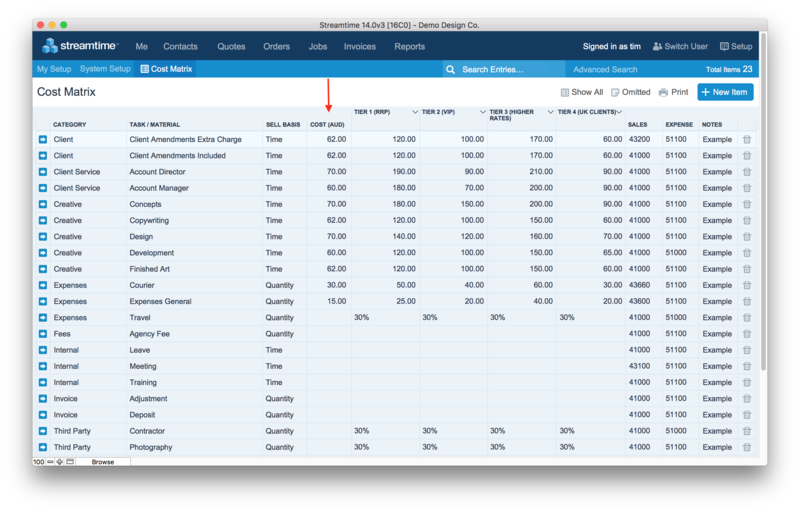 In the Cost Matrix, you can store an hourly cost rate or a rate per item. You can also set multiple sell rates, these rates you will charge to varying clients. By making multiple pricing tiers for different groups of clients, you can store different sell prices for each item. Then you can type in what Description you’d like and click Save. NOTE: each Cost Matrix description has to be UNIQUE. You will need to decide what kind of sell basis you want: Quantity (items such as CDs, Couriers, Taxis, Printing etc) or Time (items such a Account Management, Design, Concepts etc). In the example above Design would be a Time based item. NOTE: that all Time based items are always based on hours, not days. Cost Matrix items also need to be assigned to a department in order for the item to be displayed in various parts of Streamtime. This allows you to determine the Cost Matrix items that are visible to various departments and their staff – reducing the size of the items visible to the staff member to those that only apply to them. In the example above this item will only be available to staff in the Creative department. 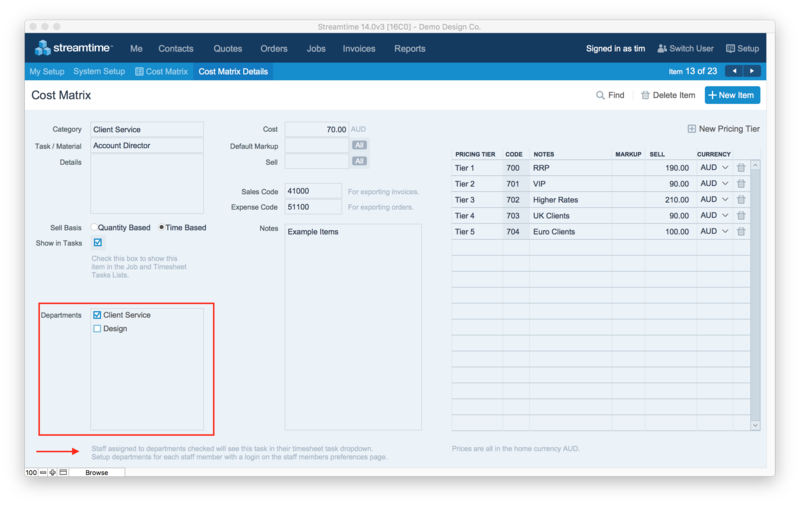 The Sales and Expense Code fields apply to those nominal codes used in your accounting package. NOTE: The Sales and Expense codes in Streamtime MUST match with the codes setup in your accounting package. If you do not have an accounting package that integrates with Streamtime then you do not need to change these fields, you can leave them as they are. If your item's sell basis is Time based then you may wish to include a Cost for that item i.e. how much will this item cost your business per hour. If your item's sell basis is Quantity based e.g. 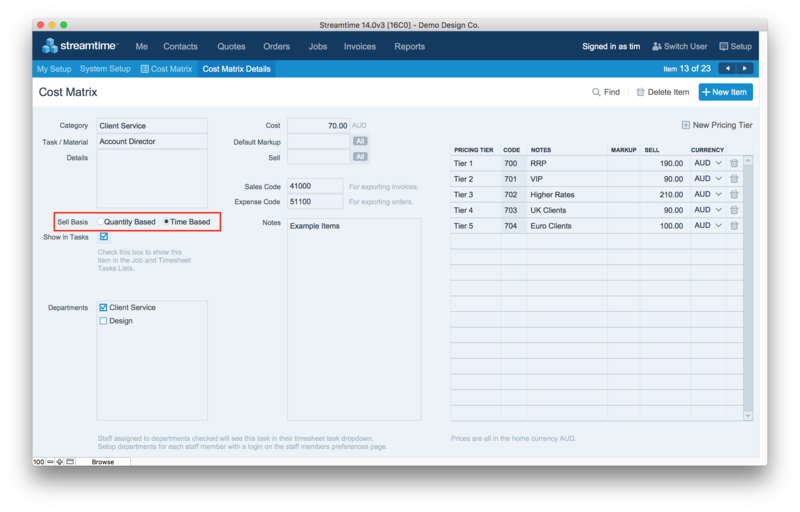 Printing, you may not know how much it costs you per item but you can apply a Default Markup to the item. 2. Create Pricing Tiers so you can charge different Clients, different rates for this item. NOTE: if you have no sell rate against an item in one of your Pricing Tiers, if that Pricing Tier is assigned to a client and used in a Quote/Estimate the sell rate will appear as zero and will not default to the default sell rate. Pricing Tiers are like Rate Cards and can be created for different groups of clients that all pay the same price for certain services. Occasionally, you might have a Pricing Tier that is made for just one single client, but try to avoid having one pricing tier per client, as this may get too hard to manage. A separate Pricing Tier can also be set up to define prices in a different currencies. E.g. the currency of your home branch is Pound Sterling, but you need to send out an invoice in Euros. To learn more about dealing with different currencies in Streamtime please see our Multiple Currencies article. To create a new pricing tier, go to the Setup > Cost Matrix area of Streamtime and select the info button against one of the cost matrix items. Once in detailed view of that item, you will see the pricing tier information on the right hand side. 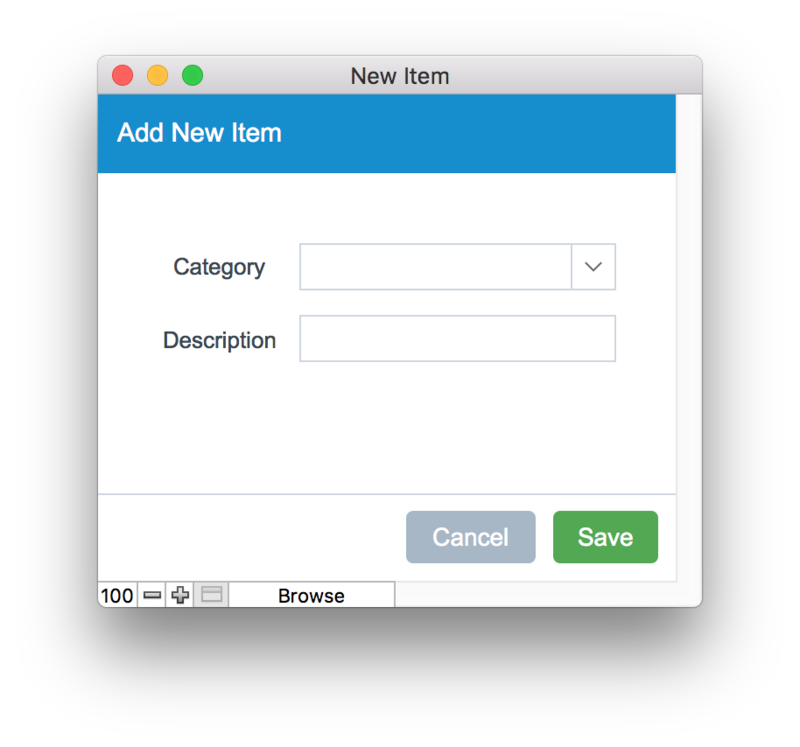 And if you ever need to delete or rename a Cost Matrix item, well that's easy too and this article explains how.